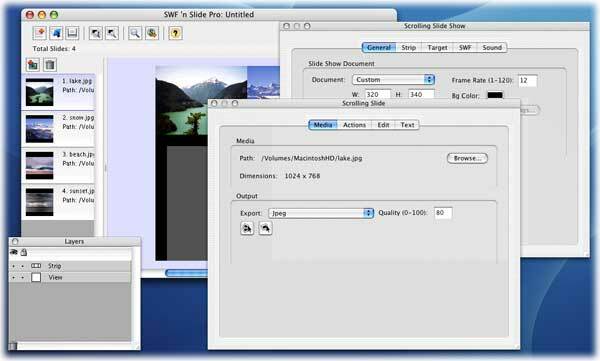 Various screenshots of SWF 'n Slide Pro's interface. Click on the images to view enlarged versions. 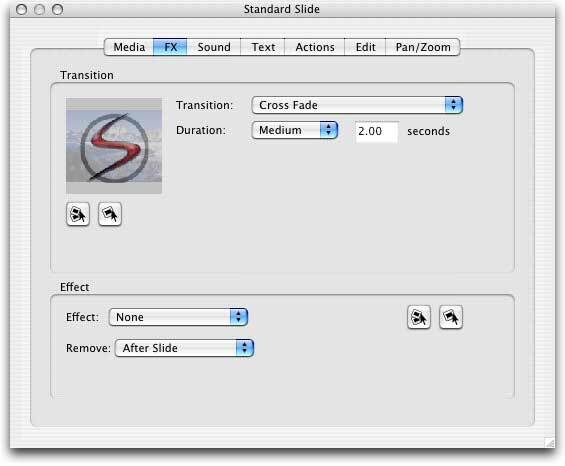 The main interface for creating simple slide shows to show a sequence of slides with transition effects, text, and audio. 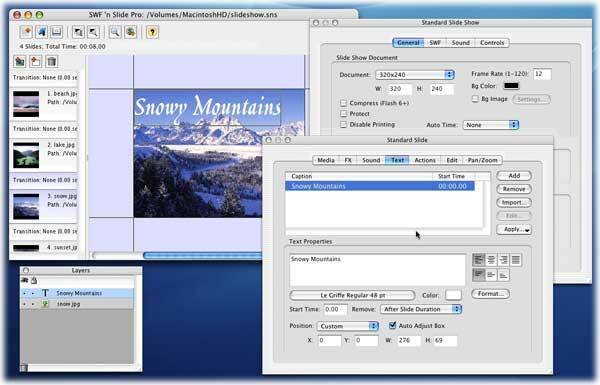 The main interface for creating scrolling slide shows. 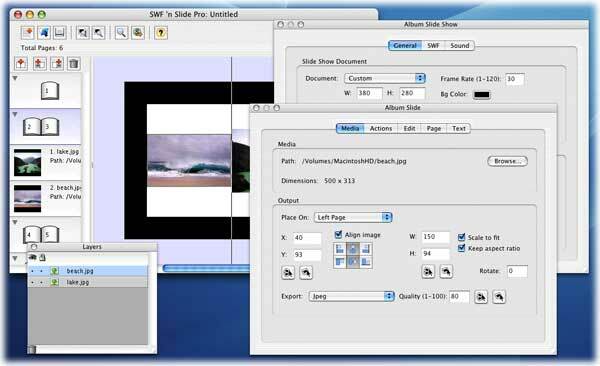 The man interface for creating 3D albums and photo books. 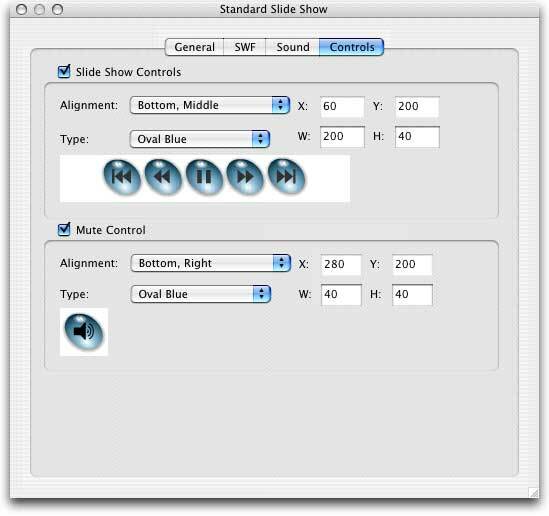 The Controls tab where you add different styles of buttons to control slide show playback. The FX tab where you can choose from over 150 sophisticated transition effects. 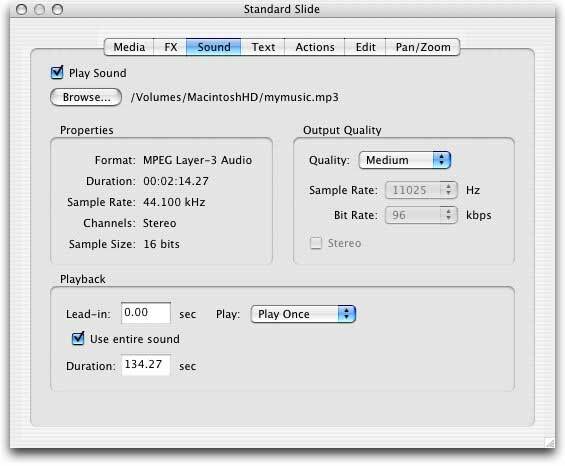 The Sound tab where you can add a sound to play in the background during the slide show. 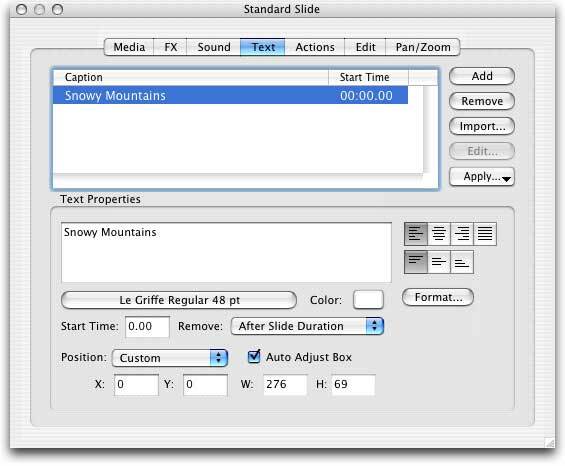 The Text tab where you can add captions to individual slides. 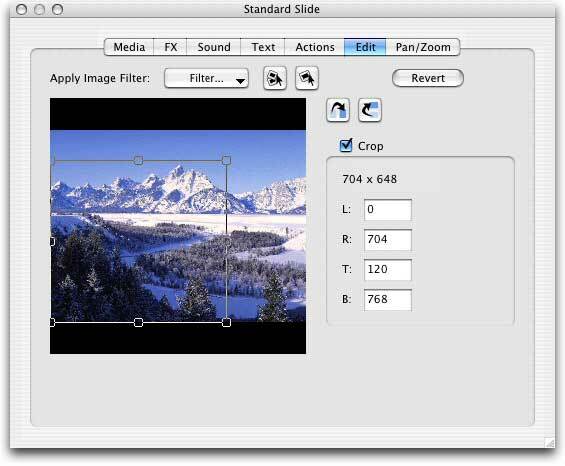 The Edit tab where you can alter the appearance of individual slides.